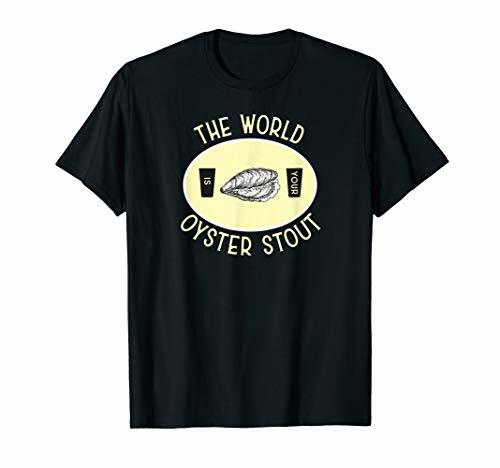 An oyster stout is just like a traditional stout style, but for one important characteristic. Somewhere in its creation it has been touched by an oyster. Tradition tells us that in Victorian England, oysters were served with beer. And from that came permutations of adding shells and/or oyster meat to the brew. Gimmick or flavor, you decide. For beers with big flavors, brewers might throw in the entire oyster. While beers with more subtle flavors just the shells are added — brinery, mineral, subtlety or bold. In Shakespeare's play 'The Merry Wives of Windsor', Pistol declared “Why, then, the world's mine oyster, which I with sword will open.” Some have interpreted this to mean, “I have money, therefore all the good things of the world are available to me.” I don't know about all of that, but I do like the beer… and this shirt. Read about one interesting variation, the Rocky Mountain Oyster Stout. Like many words in the dictionary, there can be many meaning across a words usage. For example, when ready to board a plane someone might wish you well be saying “have a nice flight”. To a beer geek getting ready to test our a new brewery it holds a unique meaning of its own. When traveling I want to try some of the local beer fare. While I know I have a limited amount of time available to sample new beer I want to try as many as practically possible. In the EFFICIENT BEER ACQUISITION article I share some rules I've found useful. Stout Season — My Favorite Time of Year. Oh yes, I love a great summer sipper like the next person, but beers have seasons. With Spring I look forward to Saison. October comes Märzens. But November, like the honking of the geese overhead, the stouts come out. Founders Canadian Breakfast Stout, Goose Island’s Bourbon County Stout and many other favorites. The desire for a cold beer has subsided and now I want my beer warming, in temperature, taste and attitude. There are many autumn song playlists — just pick a genre. For me, make mine a stout. Yes, stout season is my favorite time of year. The Beer Geek Handbook: Living a Life Ruled By Beer. This was a book with many great gems if you whether you are already a full-fledged beer geek or someone just getting started on that path. Wherever you are on the path of beer geekdom, this is a fun and clever road map. It is full of pithy life lessons, beery vocabulary, and warnings of pitfalls that anyone who chooses to walk this path will benefit from. 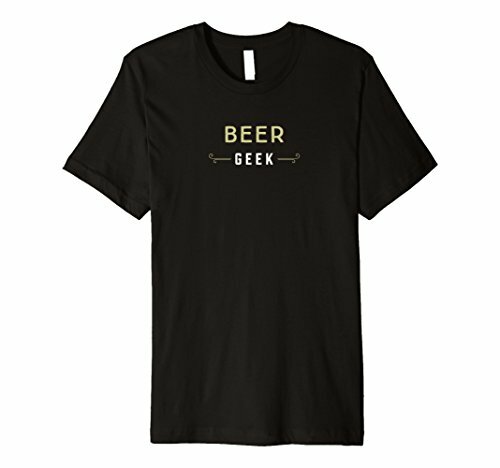 This tee shirt was inspired by the Deep Beer journal post - The Role Of Beer Books. Life needs beer in it. And the beer garden is one of those mysterious concepts that I never considered having an origin — it simply always was. What more natural thing could occur than someone enjoying a beer under a grove of trees. And if you create beer and want to attract people to buy and drink your beer, it seems logical that you would gladly provide such a place. So when I read that the new American population from Germany brought with them their beer drinking culture which not only included lager beer but also how to drink it — outdoors — that really caught my attention. This tee shirt was inspired by the journal post - Beer Gardens. This tee shirt was inspired by the boldness of Martin Luther plus his interest in beer — No Beer For You. I simply find barrels fascinating. The fact that we can take something as simple as a wood plank, fashion it in a way that can create a liquid-proof container is amazing. And yet, the wooden barrel has been around for some 2,000 years. Beer aged in a bourbon barrel, or any liquor barrel for that matter, gets my attention. I love the complexity that this additional element brings to the flavor of a beer. Of course, working as a professional forester for 40-years helps develop a natural attraction. The white oak (Quercus alba) of which most domestic whiskey barrels are crafted from, has been a favorite tree for as long as I remember. Strong, majestic in form, and full of utility. This tee shirt was inspired by the Deep Beer journal post - Bourbon Barrel Genius. I've loved the saison beer style since my first taste of Saison Dupont. The image I wanted a simple, minimalist design for this light, seasonal beer. The Saison style is a French word from saison, season, referencing the fact that these beers were usually brewed in farmhouses in the winter brewing season for drinking in the summer by les saisonniers, the seasonal farm workers. This tee shirt was inspired by the Deep Beer journal post - Farmhouse Beers.